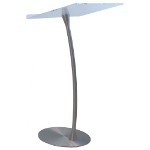 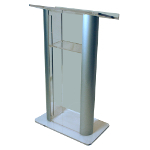 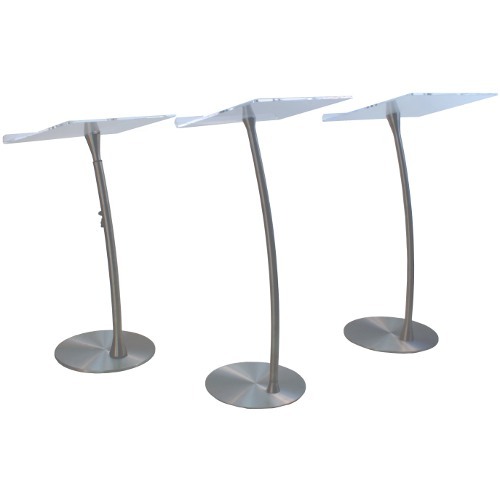 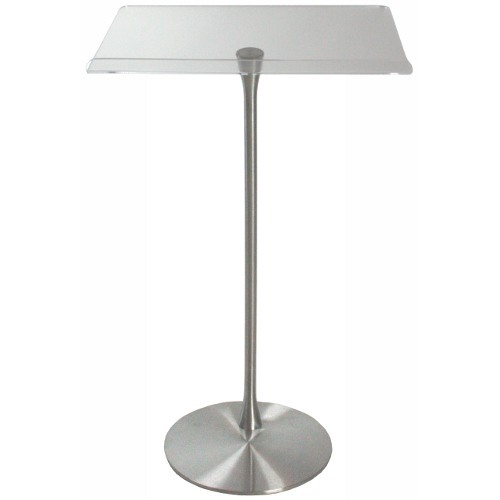 Acrylic Steel Column Arc Lectern: Stylish acrylic contemporary design. 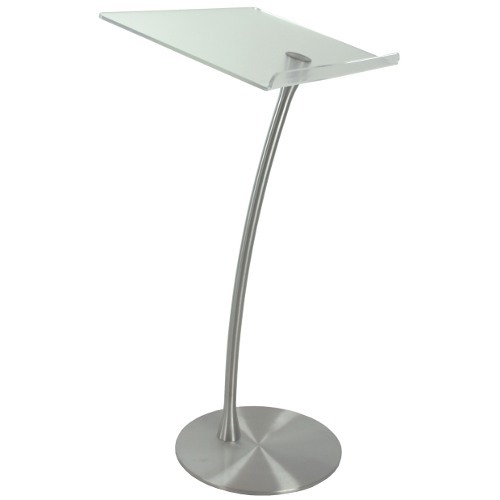 Reading surface available in clear (SN3196) and anti-reflective (SN3199). 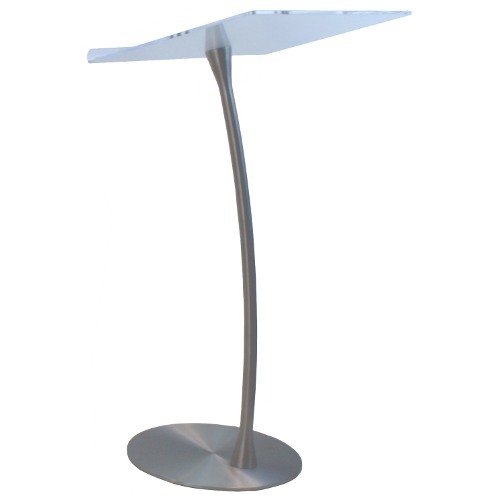 Acrylic Steel Column Arc Lectern Stylish, metal and acrylic contemporary arc design on three new floor standing lecterns from AmpliVox. 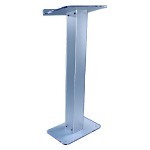 All three lecterns feature a brushed stainless steel column and base with antireflective film added on the reading surface of the two 28" wide lecterns. 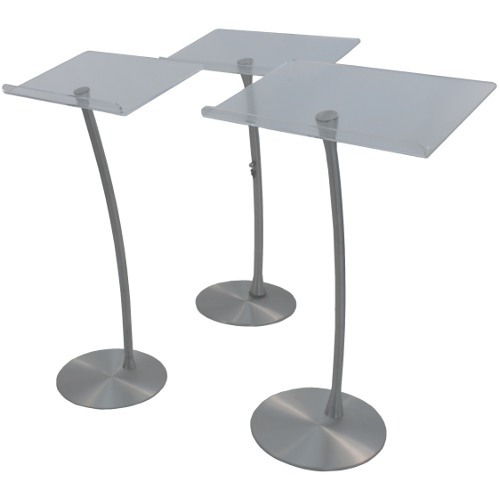 Ships unassembled and requires only ten minutes to assemble with supplied tool. 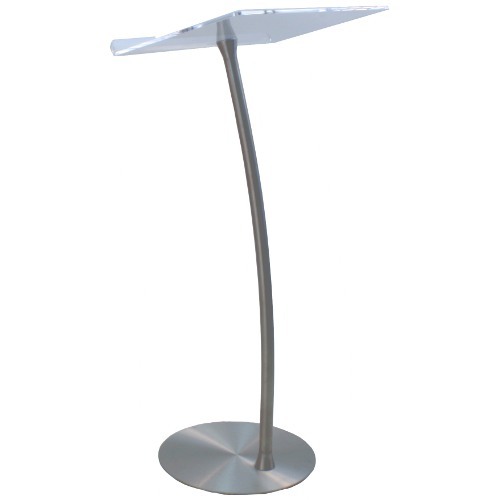 Used in schools, universities, hotel conference rooms, conventions, corporate boardrooms, and churches. 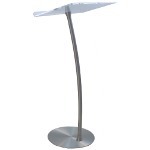 * SN3196 is a special order custom made item, making it noncancellable. 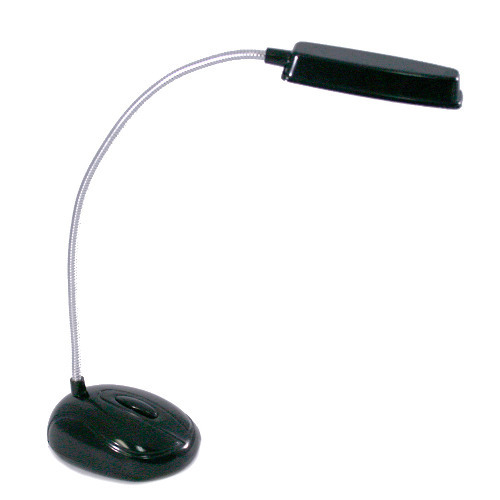 * SN3199 is a special order custom made item, making it noncancellable.